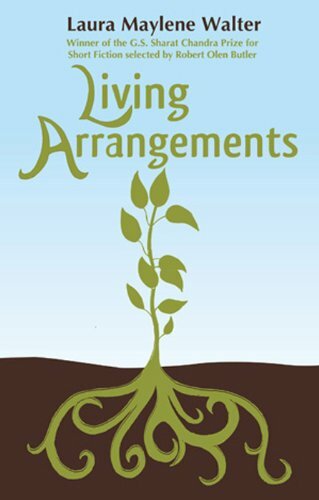 My last bit of good news for this week is that Living Arrangements won a National Gold award in the 2012 Independent Publisher Book Awards (IPPY Awards) in the short fiction category. Living Arrangements tied for gold with Knuckleheads by Jeff Kaas (Dzanc Books), which I’ve had on my reading list for a while now. The bronze went to God Bless America by Steve Almond. 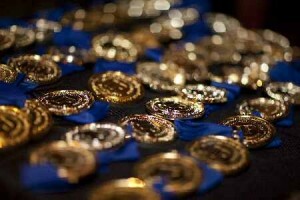 To see all the winners, go here. Enjoy your weekend, everyone. It’s Friday, the sun is out, and I need to start eating burritos immediately in preparation for Cinco de Mayo, so I’ll see you next week. I was going to say, How Exciting! But then I read that Steve Almond’s book came after yours and I’m totally freaking out. I’m so proud of you, Laura!!!! Yippeee! You won an IPPY!! wow! how exciting—your author bio keeps growing. i’m going to eventually get out of my robe, but not before fixing a pot of coffee just for me. we’ll go to a family derby party later this afternoon, but i’ll be in bermudas and a tank top. maybe a fascinator. no hat. still, best derby so far. WOW!!! Wow wow wow, that’s amazing! Good for you, Laura. I’m thrilled to bits! An IPPY!